Once you add animation to a slide object, you can make the animation happen slower or faster using its speed properties. You can also cause the animation to happen on a click, or automatically by changing its event. 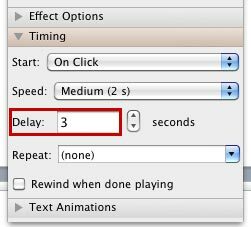 However, you can do much more — did you know that you can set a delay time after which any slide object animates? So, why would you add a delay? There are several reasons and primarily, delay can be beneficial if you want to maintain a time limit between two animations — as in having the second animation occur 10 seconds after the first one concludes. Of course, that was just a simple example and animation delay can be helpful in many other scenarios. 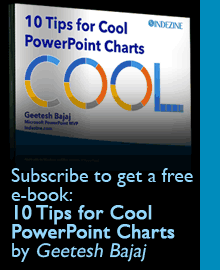 Learn about Animation Delay in PowerPoint 2011.